Not impressed by the stock Civic Type R? Hondata has your back. California-based tuner Hondata has been taking stock Honda cars and transforming them into horsepower monsters. 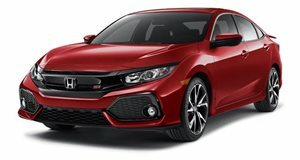 The company has already given the and of the Accord's borrowed engine from the Civic Type R. Now the company is turning its sights on Honda's sportiest model, the Civic Type R. As we expected, this is . Available for just $695, the FlashPro tune for the FK8 Civic Type R will turn any 2017+ model into even more of a beast. The tune includes several base maps, which do not require any modifications to the engine. The 91-octane tune adds 33 hp and 39 lb-ft of torque over the stock output of 306 hp and 292 lb-ft of torque for a total of 339 hp and 331 lb-ft of torque. As a California-based tuner, it is important for Hondata to offer a 91-octane tune because California doesn't have widespread access to 93 octane. If you do live in a part of the country that sells the good stuff, you can expect gains of 47 hp and 72 lb-ft for totals of 353 hp and 364 lb-ft of torque on 93-octane gas. This puts the Civic Type R right up there with the most powerful cars in the hot hatch segment. Those who really want to be adventurous with their fuel type can also tune the car to run on E25. Hondata's E25 tune adds a whopping 58 hp and 78 lb-ft of torque for totals of 364 hp and 370 lb-ft of torque. We told you Hondata saved its best for the Type R.